"I wrote like the devil in those days, especially for the hautbois, which was my favourite instrument", George Friedrich Handel reminisced on his youthful years. Throughout his life, the oboe was to play an outstanding role for him - for no other instrument did he compose such passionate, dramatic and virtuosic soli. The Batzdorfer Hofkapelle presents here a selection of the most beautiful works of Handel with the oboe � beginning with the early Hamburg period and his sojourn in Rome and concluding with his London period. The recording includes excerpts from the operas 'Almira' HWV1 and 'Teseo' HWV9, from the latter the vengeance aria 'Morir�, ma vendicata' with its maniacal coloratura in both the singing voice and the oboe. In the instrumental works recorded here, the spectrum extends from oboe sonatas and trio sonatas to concertos. 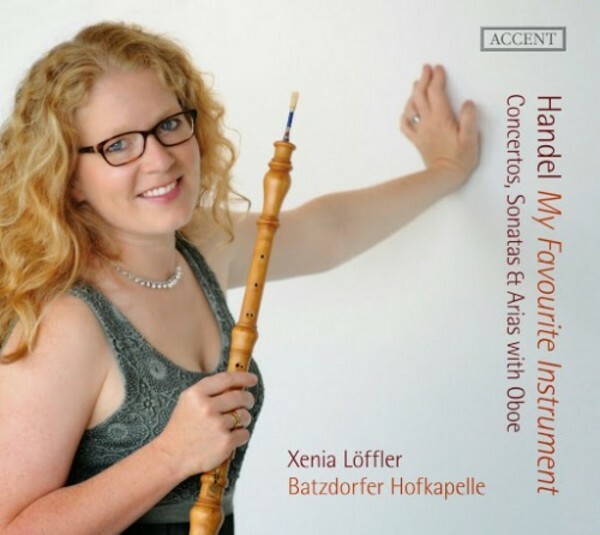 The oboist Xenia L�ffler, member of the Akadenie f�r Alte Musik, Berlin, is an internationally sought-after soloist. She proves herself on this recording to be a top-notch Handel specialist who knows how to perform both the lyrical and the dramatic moments of this music with elegance and verve. The vocal parts in the arias with oboe are sung by the young coloratura soprano Marie Friederike Sch�der, a shooting star in the baroque scene, whose voice convinces listeners with its extraordinary fluency and lightness in the stratosphere.